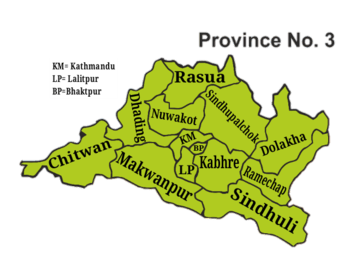 Betrawati – The Province-3 Policy and Planning Commission on Sunday collected inputs and deliberations from the people’s representatives of Nuwakot, Rasuwa and Dhading districts in course of formulating a periodic plan with a comprehensive working paper. At a programme organized at Battar of Nuwakot, the Province Planning Commission collected base papers of the periodic plan of respective working area from the representatives of local level and district coordination committee and members of federal and provincial parliaments of three districts. Province-3 Planning Commission Vice-Chair Dr Khimlal Devkota shared inputs were collected on the plans and programmes of three districts to be included in the periodic planning document through workshop.